What happens in Vegas, stays in Vegas. Maybe. There's no denying that a trip to Vegas makes the ultimate bachelor party. Whether you're going after Mike Tyson's pet tiger, or you're hoping to get lucky (with a stripper...at a wedding chapel), re-enacting The Hangover might not be the most practical way to celebrate an upcoming wedding, but it will certainly make for a story worth re-telling...if you can remember anything the next morning. Get your wolfpack together and head to Sin City for an unforgettable trip. The school where Bradley Cooper's character works (and spends more time being a jerk than molding young minds), in real life is Pasadena's Daniel Webster School. I doubt beating up kids for their lunch money (or in Bradley Cooper's case, skimming field trip funds), will make a dent in your expenses while in Vegas, so just cruise on by. The Gas 'n' Gulp where the wolf pack fuels up (and rib Stu about his lady's encounter on the cruise ship) is actually a Shell station in the small town of Jean, just over the California/Nevada border. You'll definitely want to stock up on snacks and such, because you have a long night ahead of you. The wolf pack is lucky enough to stay in some pretty swanky accommodations at the legendary Caesars Palace Las Vegas. Maybe be careful not to trash your suite as bad as they do, though...and don't bother asking if the real Caesar lived here, because we all know the answer. Hopefully you'll never actually need to stop at the Desert Springs Hospital Medical Center for any reason, but if you do need medical attention (or a hint as to what happened the night before) this filming location is a good place to start. Just in case you find true love on your epic night out, it's helpful to know where to find a good wedding chapel, like the Viva Las Vegas Wedding Chapel. The great thing about this place is that they literally have endless options for themed weddings. From classic Elvis to zombies and everything in between, you can have the wedding of your dreams here. Once again, hopefully you don't wind up at the Las Vegas Metropolitan Police Department, but if you're as unlucky as the guys in the film, then you might find yourself at the police station. Just don't do anything that will get you shocked with a taser repeatedly. The Hartland Mansion is a home-turned-event space that oozes old-school Las Vegas glitz and glamour. Plus, it's hosted tons of celebs, from Elvis to Michael Jackson. Our heroes have a run-in with the wild Mr. Chow outside Atomic Liquors, which is an icon in its own right. Once a popular spot to watch bomb explosions from the nearby nuclear test site, this is the oldest free-standing bar in Las Vegas. The Riviera Hotel and Casino is where the movie's "Rain Man" tribute sequence takes place, as the gang count cards to earn enough money to pay off Mr. Chow. I don't suggest cheating, but definitely play a few hands of poker or black jack here for fun. And it's back to California for the movie's happy ending, Doug's wedding, which was filmed at 415 S. Grand Avenue in Pasadena. It's a great place to reflect on your adventures in Vegas, and maybe take one last look at the photographic evidence before you delete it all forever. 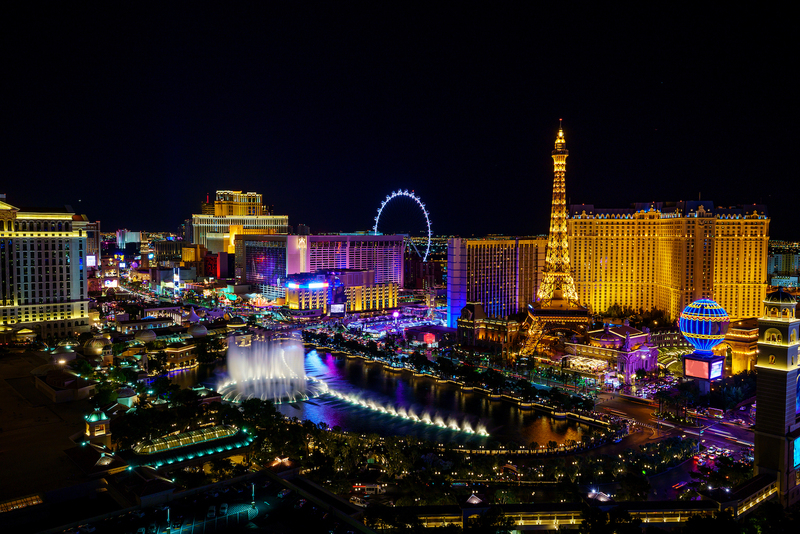 Of course, there are tons of other must-see spots in Vegas, from the Strip to Fremont Street, and tons of other ways to have your very own Hangover-style weekend! Visit the spooky real-life locations from "Hocus Pocus"